You know I’m an espresso girl, but when the leaves start to change colors and I’m bundled in a scarf, it’s time for tea. Seek and ye shall find. Great friend Miguel is visiting from Japan and the best part of his stays are our cozy morning tea ceremonies. I needed to get me some Earl Grey stat. But good Earl Grey. While getting a sneak preview of local artist Paul Duncan’s solo show at Allan Nederpelt Gallery, gallerist Beverly tipped me off to Bellocq. Its one of those places that you repeat: “Where?” Kent St and West. Only open on Fridays and Saturdays Bellocq, “an artisan tea company and purveyor of evocative blends” is on the corner tucked into an industrial building on West. A plain white paper sign hangs on the door, but walk inside and enter another world, a calm candlelit respite where you can go on a spicy journey with your senses. 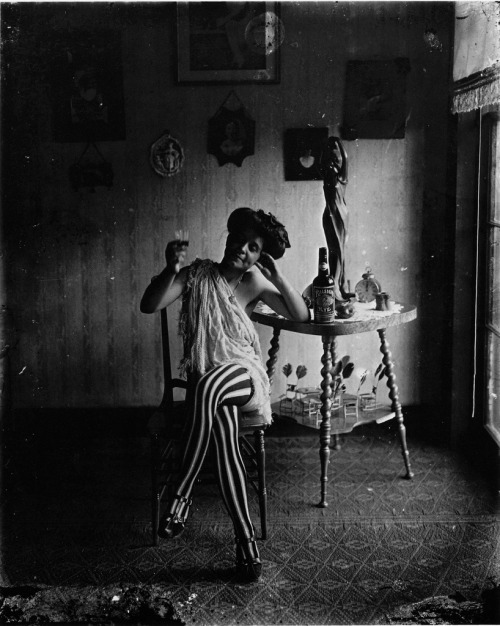 The name Bellocq interestingly comes from the New Orleans photographer of the same name, who created stunning portraits of prostitutes and “found beauty in places where others did not,” as Michael, one of three owners of Bellocq explains. After walking along the littered potholed streets of the industrial waterfront, I certainly found beauty in Bellocq. Giant yellow tins line the walls with curious names like Little Dickens and Kikuya. You can stick your whole head in and take a whiff of some of the most brain stimulating aromas while learning about the hidden wonders inside. Most tea blends are made with a cheap black tea base and flavored with artificial additives, the bergamot in Earl Grey being a big offender, Michael explained, but not at Bellocq. They master their craft with the best rule in the book, “quality over quantity” and the Earl Grey I took home was superb and smooth, made with “the finest quality organic full leaf ceylon black tea scented with natural Sicilian bergamot,” plus the most stunningly hued blue cornflowers were a feast for the eyes. Go figure, I travel all the way across McGuinness (practically the other side of the world) to find me some tea and it has some Sicilian in it! Stay tuned: Bellocq will host weekly events to include music, food, lectures, workshops and art installations. thanks peter. its true, you have to get the brew down.